A daughter of the much more established Etnies Footwear, and a sister company of Emerica, eS Footwear was founded in 1995 by Pierre Andre Senizergues. Since inception, eS Footwear have consistently pushed the boundaries of skateboard shoe design and durability. Until now, eS Footwear was recognized as one of the best core skateboard shoe companies in the market, especially because it was a more sophisticated shoe with a more athletic aesthetic, complex materials and higher price points (above $80). eS Footwear was widely popular largely in part due to the unique eS skateboard shoe styles. 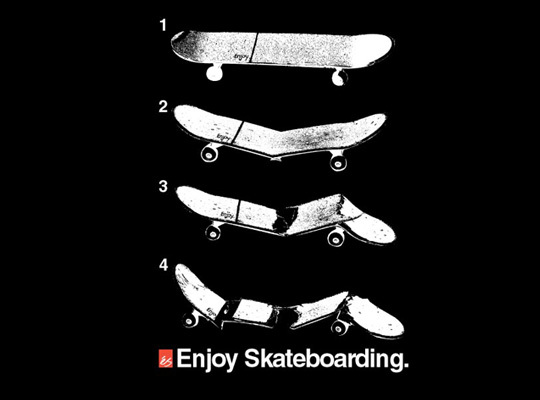 With a large and diverse selection of skateboard shoes and sneakers, eS skateboard shoes were often bought solely based on their looks, although eS skateboard shoes were more durable. eS skateboard shoes had features to maximize both comfort and durability. With patented technologies like STI FoamTM footbeds, System G2TM gel inserts, full-length EVA midsoles, tongue stash pockets, removable lace straps, vulcanized construction, water resistance, System Flo2TM tongues, and triple stitching, eS Footwear was one of the most advanced skateboard shoes on the market. But the business being what it is and the economy taking a plunge worldwide have convinced Pierre Andre Senizergues to shut-down the brand (officially, it will be on hold starting 2012). He said cutting eS will make the company more efficient and allow Etnies to devote more resources and focus to Sole Tech’s other brands: Etnies, Emerica, Altamont and ThirtyTwo. Sole Tech will deliver éS product through Spring 2012. Then the brand will go on “creative retreat,” Pierre said. As a result, some employees were notified they are losing their jobs. Pierre did not want to give a specific number, but said less than 20 positions are being eliminated. Sole Tech employs approximately 400 people worldwide.